The other way is to create a dummy legend view. Create a generic annotation family in the shape of however you'd like your keynotes to look, and add labels to it that will act as your text fields (2A, 3F, 1R, etc.). Then, create a legend view in your project and insert the generic annotation family using the symbol command. Copy it as many times as needed, and change your text values to... 14/05/2008�� Legends Transfer between projects It appears that there is a bug in legends being able to copy between projects I did a search on legend transfer and there was a lot of bad advice based on how we used to copy schedules from one project to another prior to the Insert From File function (put it on a sheet, copy to anothe sheet in the target project). 14/05/2009�� Then create a legend view and open the families and drag the symbols in (plan view) and create a key. Write the appropriate notes. Drag both of these onto a sheet view to create the same effect as the drawings that you post. The legend view can be used on more than one sheet.... 16/04/2014�� You most certainly create legends "in a smart Revit way" (<---- haha I like how you said that) if you use the Legend Component tool but you have to get your content looking the way you need first. Hope this helps. This tool will help in aligning all Legends in all sheets to the same exact position. For more information on how it works please visit my website here. Here is a graph that I�ve thrown together that pushes the Revit Space number into the COBie parameter �COBie.Component.Space� for elements that are within the Space, including elements above the ceiling. By Dennis Collin. 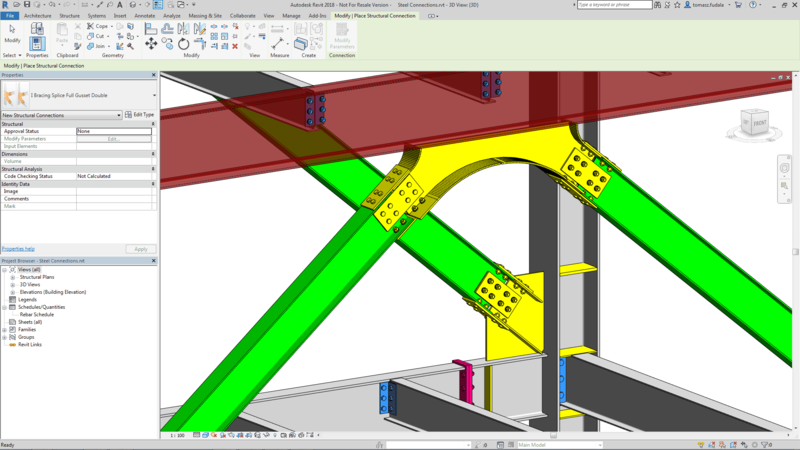 Customising the Appearance of Wires in Revit MEP 2017 To customise a wire�s appearance seems to be tricky in Revit MEP as you cannot seemingly set a specific line type to a wire either through object styles or visibility graphics overrides. 14/05/2008�� Legends Transfer between projects It appears that there is a bug in legends being able to copy between projects I did a search on legend transfer and there was a lot of bad advice based on how we used to copy schedules from one project to another prior to the Insert From File function (put it on a sheet, copy to anothe sheet in the target project).